These scholarships will be awarded for academic excellence, and are worth £5,000 per year of your course. These are applicable to all BSc undergraduate degree courses in the College of Life Sciences, School of Learning & Teaching. You must have, or expect to gain, the equivalent of AAAAA in Scottish Highers, AAA in GCE A-levels, 37 points in IB (with 6, 6, 6 at Higher Level). Continuation of the Scholarship for subsequent years depends on continued academic excellence, recognised through a B2 average mark each year. Sir James Black was Chancellor of the University of Dundee from 1992 to 2006. He was a Nobel-prize winning scientist renowned for his discovery of the beta-blocker, propranolol, and the strong blocker, cimetidine (Tagemet), which transformed the treatment of angina and stomach ulcers respectively. Once you have been given an offer to study in the College of Life Sciences, School of Learning & Teaching at the University of Dundee, we will send you an email telling you how to apply for a Scholarship. Applicants are expected to submit a 400-word statement (please note this cannot be the same as the personal statement) outlining how they meet the criteria of the award, how they will use the scholarship and how it will help them achieving their future goals. The application should include the names and contact details for two people who can comment on their academic record, such as a School Teacher or College Lecturer. An academic panel will then meet to review the applications. We will notify the applicants after the panel has made a decision to let them know whether they have been successful or not. Closing date is 31st May 2014. The Dean in the School of Learning & Teaching, Professor David Coates, will be offering a number of scholarships based on entry qualifications to eligible International applicants worth £2,500 per annum. This scholarship will be awarded as a tuition fee discount for International students starting a full time undergraduate degree in September 2014. This scholarship will be award to applicants based on their entry qualifications. Applicants must be nationals of a country out-with the EU and must have firmly accepted an offer of a place on a full-time basis for undergraduate study. The Dean will personally review these applications. We will notify all applicants to let them know whether they have been successful or not. For more information, please visit official website: www.dundee.ac.uk. 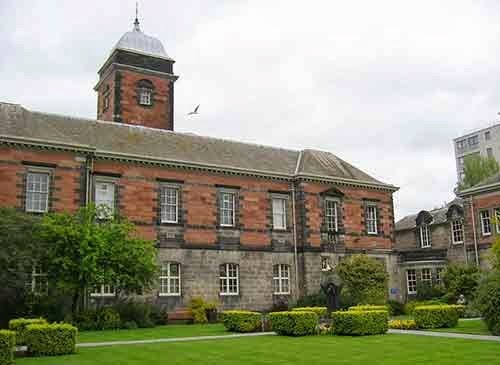 Demikianlah informasi mengenai Sir James Black Academic Excellence in Life Sciences Scholarship, University of Dundee, UK semoga berguna bagi anda.